Mount Kailash. Tibet. 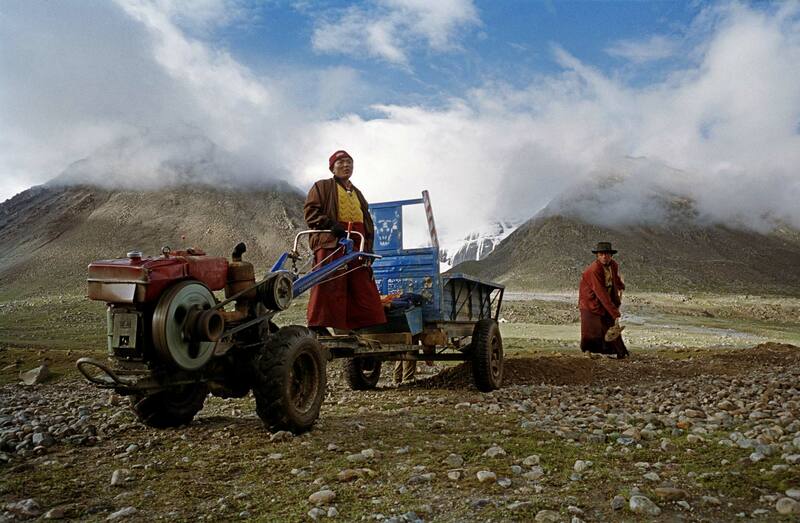 August 2007 Monks from the Nyingma sect, at work in the fields in front of Mount Kailash,whose snowy peaks can be seen shrouded in clouds in the background in August 2007. The Nyingma,known as the Old Ones, are the original Buddhists of Tibet.